52 Ancestors, No. 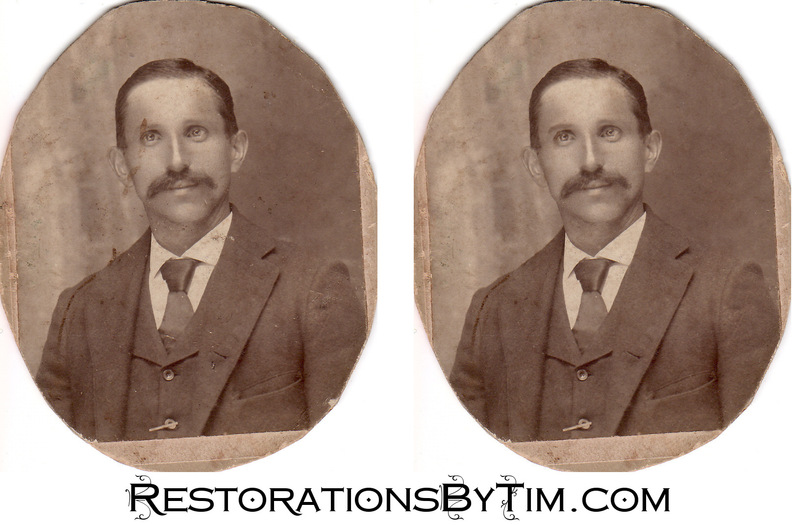 17: Henry Balmer, Swiss Tinner and Farm Laborer | Photo Restorations by Tim G.
I think this will be a short entry. I haven’t yet had much to say about this branch of the family tree, and it may be a while before I have any more to say. I don’t know too much about this gentleman, or where he came from, genealogically speaking. This is Henry Balmer, my maternal grandmother’s maternal grandfather. He was born in Switzerland on March 17, 1858. Sometimes I call him “Heinrich”, because I imagine that’s what he would have been called there. Do other genealogists make up nicknames for their research subjects? I dunno. Whatever. So I’ve gleaned from census records that Heinrich came to America in 1892. Last I checked, I did not find original immigration documents for him on Ancestry.com, but his name appears in a published naturalization index that Ancestry.com has made available. If I recall correctly, the year was 1895, but years of immigration and naturalization vary across the census documents. Some place the dates in the 1880s. I won’t be sure which to ones to believe until I see some primary sources. 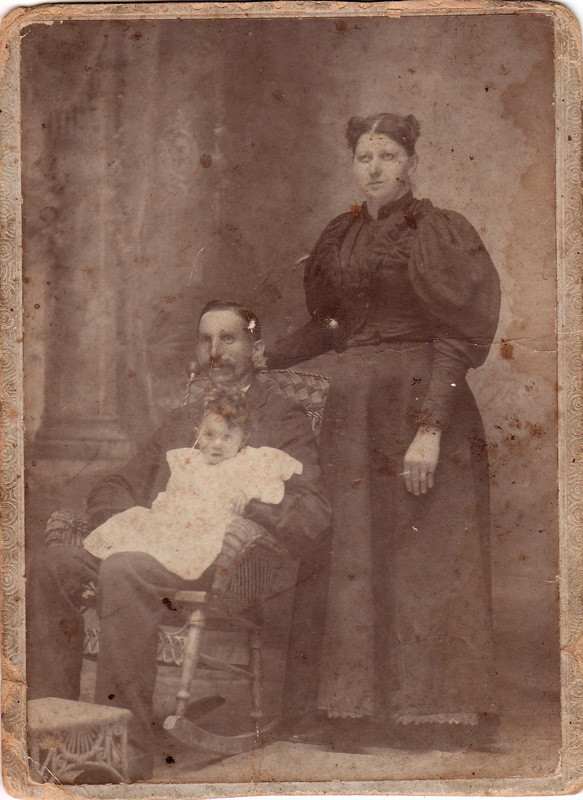 The Balmers, Henry, Bertha, and Baby Margaret, ca. 1899. He settled in Western Pennsylvania, and married my great-great-grandmother, Bertha Staaf at Connoquenessing Twp. on July 8th, 1896. They had the first of their children, Margaret, the following year, followed by my great-grandmother, Katherine, in 1900, and her younger brother, Henry, in 1904. Margaret’s Allegheny birth index entry shows Henry’s occupation at that time as Tinner, although he would appear variously as a farm laborer and a coal miner on later documents. He lost is wife, Bertha, to heart disease in 1929, and his daughter, Margaret, to Lobar Pneumonia in 1937. He lived a full life, though, and died on December 20th 1946 at the age of 88. He is buried at Clinton UC Church Cemetery in Allegheny County, Pennsylvania. In a nutshell, that is about all the historical record shows, but I do have one additional story, as told to me by my grandmother, before she suffered her stroke and lost her ability to speak. My grandmother told me of Henry Balmer that he came to America with some sisters; I don’t know how many. My grandmother told me that when the ship docked here in the New World, Henry Balmer got off the ship, but his sisters did not. My grandmother told me that the ship then departed for South America with the Balmer sisters on board, and that as far as she knew, the sisters disembarked in South America and settled there. If this is true, then I am very curious about my South American cousins. They will take some expert research to find, and I have not really started on that. This is the story, though, and one that I would eventually like to confirm. 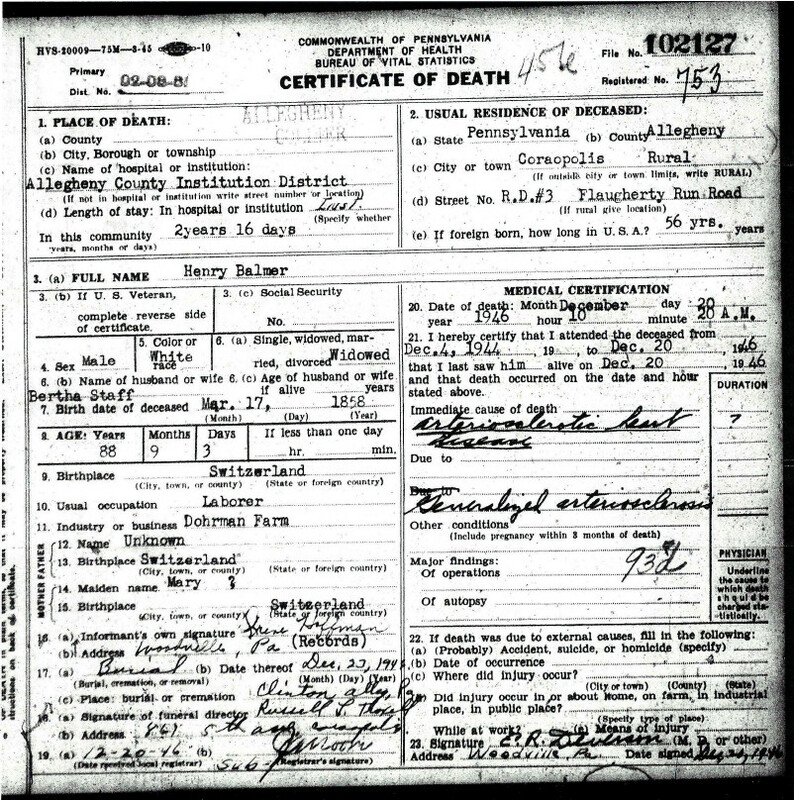 Since I seem to have some leftover space this week, I’ll leave you with a photostatic reproduction of Heinrich’s death certificate. An unknown woman by the name of Irene Hoffman is the informant on the document. She identified his mother’s name as “Mary”. Thanks, Irene, for narrowing that down for us. 52 Ancestors, No. 22. Peter Staaf: a case study in interpreting picture labels | Photo Restorations by Tim G.
52 Ancestors, No. 28: The Unmistakable Bertha Balmer | Photo Restorations by Tim G.